Recipe Redux has stretched my culinary imagination and challenged my taste buds. This month’s recipe challenge was to incorporate “little fishes” to “sea what we’ve been missing”. 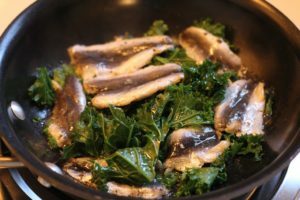 To tell you the truth, I know I need to eat more seafood; we try hard to incorporate it into our meals twice a week, but sardines and anchovies were not in my game plan. It really grossed me out purchasing sardines, but I was willing to give it a try. After all, I tell my “kids” daily… challenging foods can take 15-20 attempts before it becomes tasty. Not gonna lie, sardines are not my favorite… for now at least. They were very “fishy”, and I usually don’t get turned off by fishy fish. 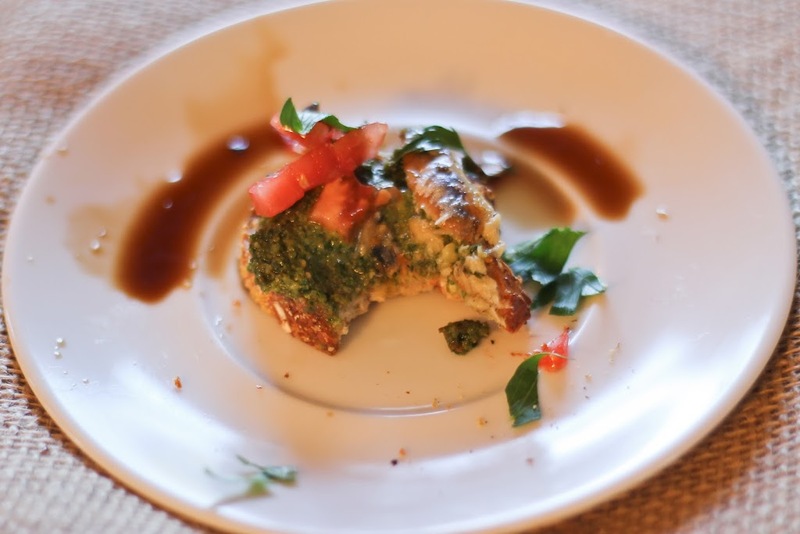 But these were intense– loaded down with lemon and balsamic vinegar helped a lot! 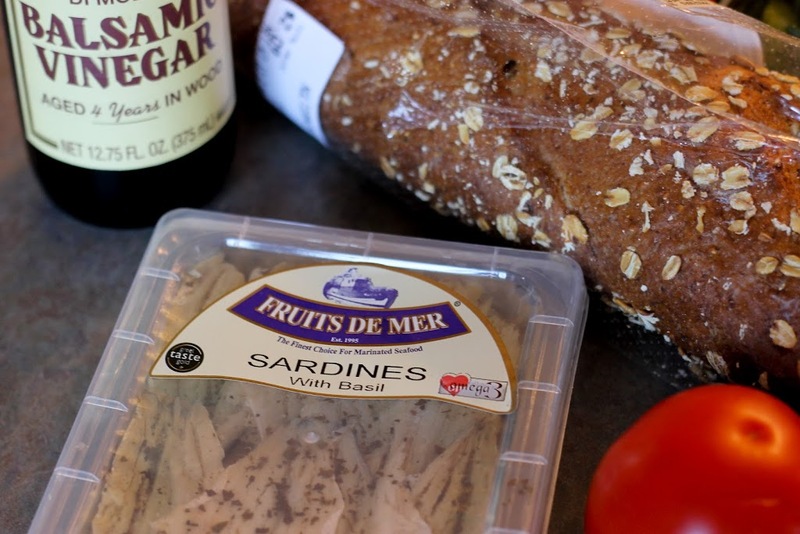 Do you like sardines, or are you willing to give them a try? 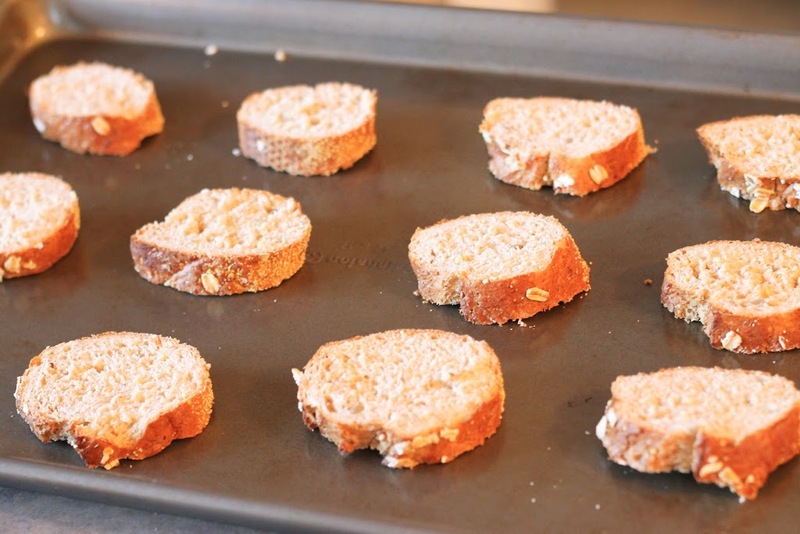 Place sliced bread on baking sheet in 400 degree oven until toasted. Over medium high heat saute kale; season with black pepper. Add lemon juice liberally and sardines; cook until warm. Top saute mixture with swiss cheese and heat until melted. Another twist to my favorite sardines. Yummy! Sardines, my favorite fish! Great recipe! Thank you! Mmm, this looks great! I think sardines go so well with canned diced tomatoes…they almost flake right into the chopped tomatoes, and I add capers so the briny caper taste goes well with the fishy salty taste. Maybe a recipe idea for try #2? That sounds really gourmet! capers are a challenging food for me too… not into intense saltiness.. I'll have to go for the smaller ones next time! You have great looking fishies! Last time I bought them they were not so clean and fresh looking. After talking with the employees at whole foods, since I knew nothing about sardines.. I went with the fresh basil infused fishes. 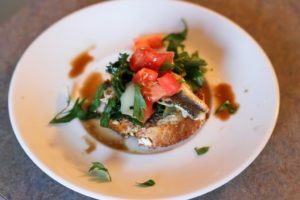 I love sardines and your recipe looks fabulous!